Has Nokia just made the perfect phone for kids? The 2017 version of Nokia’s classic 3310 has generated a huge amount of interest. If you’re getting a first phone for your child, there are some essential features to look out for. You’ll want something that’s easy for them to use, strong enough to withstand the occasional knock, and handy in emergencies (so good battery life is essential). The 3310 ticks all these boxes. It has clear and simple menu options. It boasts the same kind of tough build that the original 3310 was famous for, and the battery life is absolutely incredible. It’ll last 31 days on standby, and give you 22 hours of talk time. On the other hand, there are a few things you might want to avoid when you’re choosing a child-friendly phone. Until your youngster learns how to use a phone responsibly, they don’t really need a feature-packed smartphone they’ll be on all day – especially if it runs out of power before they remember to call you for a lift home. You probably won’t want your young child to have unlimited access to social media and the internet either. And despite what they might try and tell you, they can probably do without watching YouTube videos or Netflix shows during school hours. The 3310 fits the bill nicely. It’s not capable of streaming videos, but it is an extremely practical device. It’s got a calculator, calendar, alarm, FM radio, 2MP camera (with a LED flash) and even has a basic internet browser. This could come in handy for emergencies - perhaps to get directions or an important phone number. And if they really want an entertainment fix from their phone, then they’ve got a great new version of Snake to play. Finally, there’s the price of your child’s first phone to consider. A mid-range smartphone could cost upwards of £200. On the other hand, you’ll probably pay less than £60 for the 3310. If you’re interested, you can register for the Nokia 3310 at Carphone Warehouse now. Have we got it right? 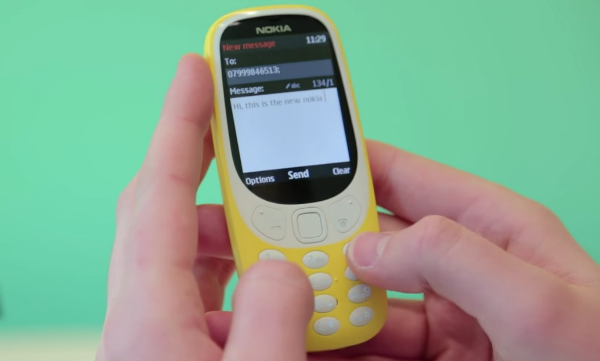 Is the new Nokia 3310 the perfect phone for kids? Will you treating your son or daughter to one, or buying one for yourself? Share your comments below.